The Sony Xperia E comes with a 3.2MP camera that takes crystal clear images. Since the phone only has a 3.5-inch display, the clarity of the photos is incredible. Most importantly, the 4X zoom that Sony has added to its camera allows you to capture faraway images without any distortion or grain. Apart from the camera, the VGA video recording records steady video and collects the sound clearly. This is one of the best features of the Sony Xperia E model. It has an in-built WALKMAN app that emits groovy music. The manual equalizer is perfect for those who don’t want to compromise on the quality of music. Plus, the advanced audio filter technology provides the ideal balance while you listen to your favourite songs. The display of the Sony Xperia E is as good as it gets. With a 3.5 inch screen that has 320 x 480 pixels resolution, the 262,000 colour TFT display is incredible in this budget phone. Can A Sony Xperia E LCD display be replaced? Most certainly, it can. 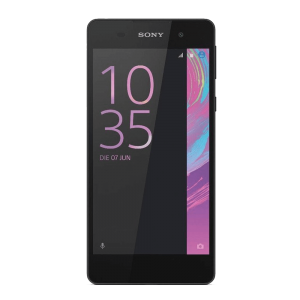 We have many Sony Xperia E screens that fit your budget. You can rely on us for the quality because you get a warranty for every display replacement of this model. Can An Xperia E battery be replaced? Yes. We also have replacement batteries for your Sony Xperia E. They will match the battery backup of your previous battery. Plus, the low cost of all these replacement parts may not put a dent in your pocket. So, you can always give it a try. Can the Phone's Charge Port be replaced? Yes, we also have replacement charge ports of the Sony Xperia E. If the existing charge port is malfunctioning, you can search for the matching port from our store. We stock only the highest quality parts from the aftermarket and original manufacturer at very attractive prices. 1-year (or more) is our standard guarantee which, together with 30-day faulty returns process and same working day shipping, makes for a reliable, quality service backed up by our phone support.